I had a request for what my Top 5 Nail Polish Brands were from the lovely Liloo. I have found with Nail Polish, sometimes it's the cheapest polishes that are often, surprisingly, the best in terms of quality, colour range and durability and it’s not always the case of paying the high-end designer prices and getting value for money. 1. O.P.I - My favourite polishes have to be O.P.I, their vibrant and trend setting colour range is wonderful, the quality is amazing and I love the individual quirky nail polish names. The chip-resistant polish ensures flawless results with each application, and its green ingredient list excludes DBP, toluene and formaldehyde. Although OPI are priced at around £10 each, you get a lot of polish for your money in terms of the quantity of the large bottles, however, they have started selling mini bottles which are great value for people that find the normal sized bottles too large. I find OPI polishes are long lasting and great quality and they stay chip-free for around 7 days. The wide curved brush means achieving a quick and easy application is simple. 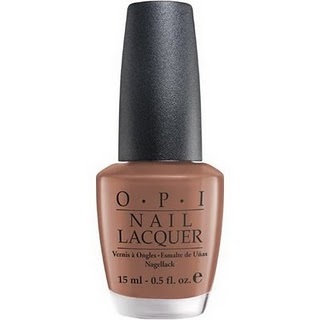 OPI are priced at £9.95 each and are available from http://www.lenawhite.co.uk/ OPI have also collaborated with Sephora to bring over 50 fashion-forward, wearable nail colours for the 'modern women' which are worth checking out if your ever at a Sephora store. 3. 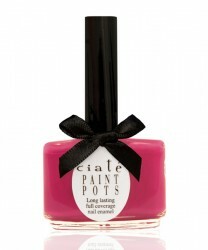 Ciate - fabulous range of gorgeous 'on-trend' colours which are good quality, creamy, long lasting and easy to apply. The ciate paint pots forumulations are Formaldehyde, Toluene and Paraben free yet promise to maintain a full coverage, high gloss and long stay colour wear. They certain live up to expectations, only one coat is needed for a lovely glossy finish and the staying power was brilliant -atleast 10 days of no chipping! Flawless painting is made easier with the optimum 250 bristle flat brush, which is ergonomically designed to enable maximum control with a long handle and curved bottle to sit comfortably in your hand. The polishes are presented in such cute pretty bottles that look great displayed on a dressing table. Ciate paint pots are priced at £9 each and are available from http://www.ciate.co.uk/, ASOS also have a collaboration with Ciate and have a limited edition range of shades inspired by celebrity trends. 5. Mavala - Swiss brand with a huge colour range of over 100 shades. Mavala minis are perfect little 5ml pots of colour that won't dry out before you reach the bottom, and are great when travelling or carrying around in your handbag (please tell me im not the only one that carries nail polish in my bag?!). Mavala combine high quality, technically impeccable products with long lasting staying power at an affordable price. The polishes apply like a dream effortlessly and produce a professional finish thats even, creamy, smooth and glossy, yet comes off easily with one sweep of remover. They last a good 10 days without chipping and only need one coat as they are so highly pigmented. Unlike traditional nail colour, Mavala's unique formula delivers microscopic air pockets to allow nails to breath, ensuring your natural nails are cared for. All Mavala's colours are fee from parabens, formaldehydes, toluene, camphore, cellophane, animal ingredients and heavy metal. Mavala mini pots are priced at £3.49 each, so an affordable way to buy into key trends without breaking the bank. What are your favourite Nail polish brands? opi, china glaze, essie, american apparel and revlon probably. I love my trusty Barry M polishes! Can never justify shelling out for OPI so have very few of their polishes but do love them. I don't really rate Ciate and do love most of my Revlon polishes. 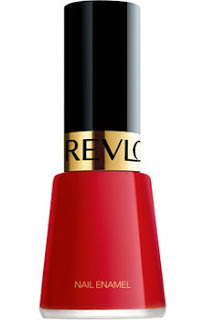 Never had a Mavala polish or anything from Eyeko though they're near the top of my mental wishlist! Thanks for this, great post!